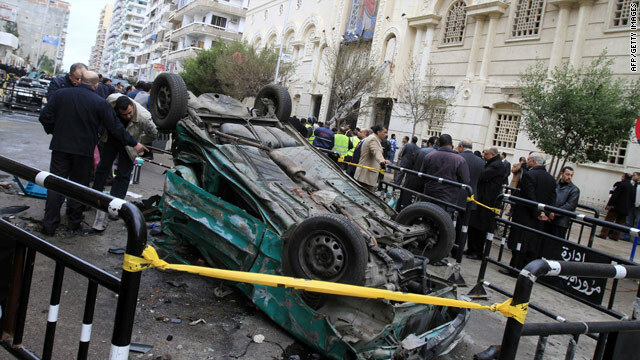 [Update 7:16 a.m.] The death toll in a car bombing outside a church in Alexandria, Egypt has risen to at least 21, officials say. [Original post] A car bomb outside a church in Alexandria, Egypt, killed at least seven people and wounded at least 24 others early Saturday, Egyptian state media reported, citing unnamed security officials. services, Egypt's Nile TV reported. A nearby mosque was damaged and eight Muslims were among the injured, according to Egypt's MENA news service. Egyptian officials are blaming foreign elements for the attack, MENA reported.